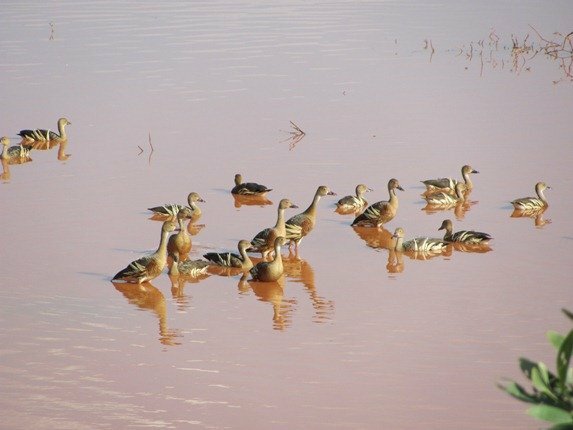 One of the most common ducks that you see in Broome are the Plumed Whistling-Ducks and they are exactly that! They have beautiful plumes and in flight they really do whistle. We often have them fly over our house and it’s an unmistakeable call. 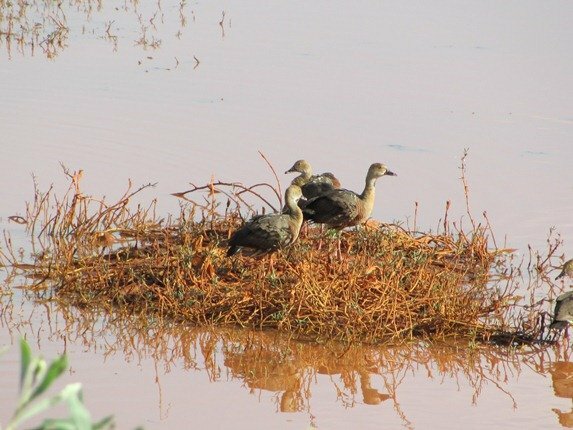 They are on the Golf Course or in the ponds at the Waste Water Treatment Plant-Poo Ponds-throughout the year, but once it rains they can be anywhere. We have even seen them in a puddle beside the road to the port! 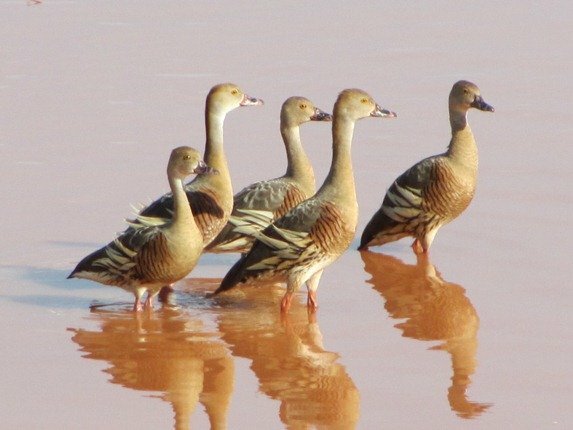 There are also Wandering Whistling-Ducks around Broome, but they are less common. 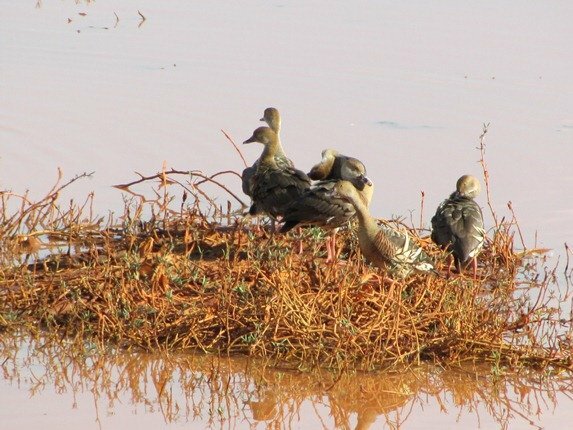 They don’t have the pink legs and the plumes that they have are not upswept like those of the Plumed Whistling-Duck. We have a nice group of them near our home at the moment and they are enjoying all of the extra water that the Wet Season brings. 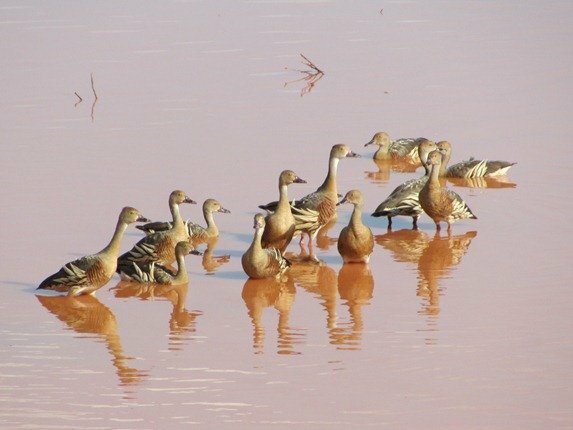 We hope you like our Broome ducks! I saw these guys for the first time in the Atherton Tableland this year! A great bird. 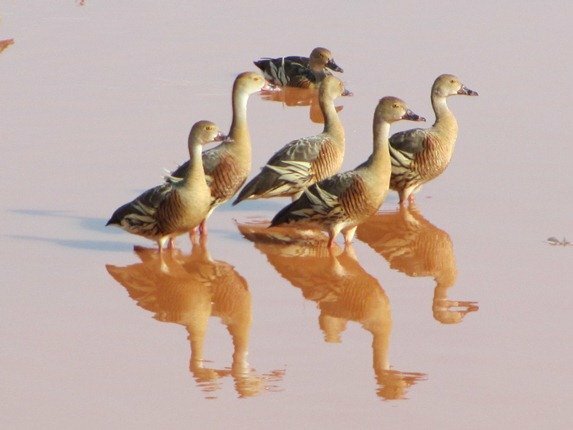 What gorgeous ducks and photos of them! Oh wow, those feathers on the flanks are amazing! I had no idea… Thanks! !